A waist pack with a clear front and a clip-lock closure. Keep track of your essentials in Trefoil style. 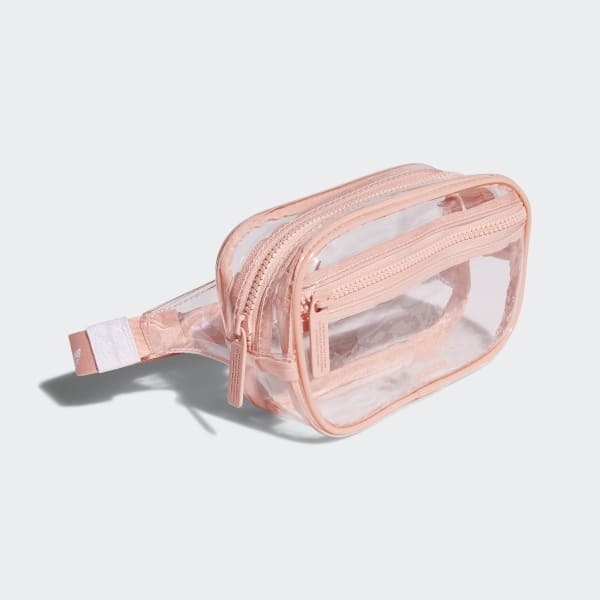 This fanny pack has a clear front so you can keep an eye on your phone, keys and small essentials stashed inside. The webbing strap makes it easy to secure around your waist with a handy clip-lock closure.